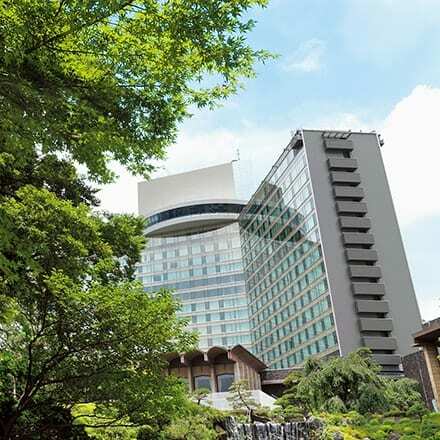 New Otani Hotel Group welcomes guests at 17 locations in Japan, and also in Beijing and Hawaii. Exclusive seasonal deals are offered by each hotel. All-encompassing ski & accommodation package that includes rental ski equipment and wear, plus unlimited ski lift rides. Access one of the few ski slopes in Japan that is exclusively for skiers (no snowboarding or other activities allowed), located right behind the hotel (0 minute walk!). Breakfast and dinner are also included in this ski lovers’ dream package. * Bath tax of ¥150 per person will be charged. * Fees for children of age 3 or younger (sharing the bed) are ¥3,700 and 70% of adult fee for children of ages 4 - 12. 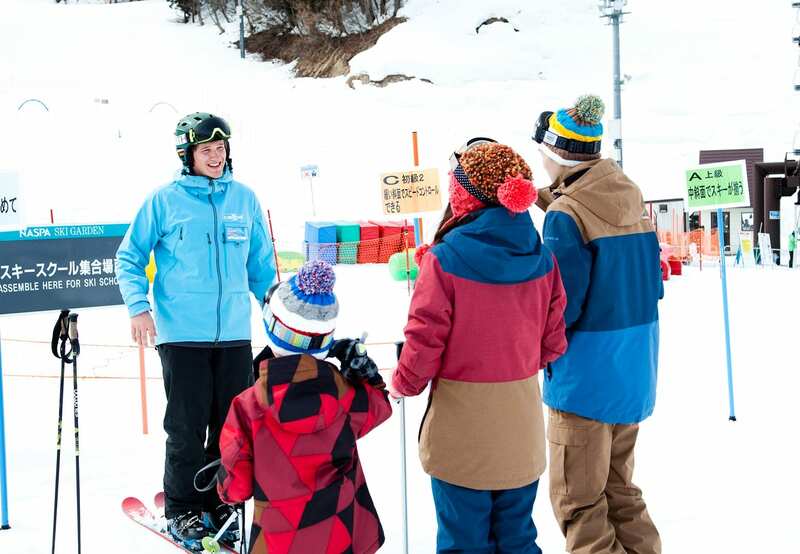 [NOC members] ●Check-out time extended to noon (normally 10:00am) ●Free access to "The Pool & Fitness"
Instructors from Great Britain, Australia, and New Zealand are present to provide ski lessons in English. From the basics to advanced techniques, for beginners or experts, private lessons of up to six people per group are offered by English-speaking instructors. [Reservations] Please fill out and submit NASPA LESSON BOOKING form from the webpage link below. Walk-in bookings can also be made at the NASPA Ski Garden reception desk. 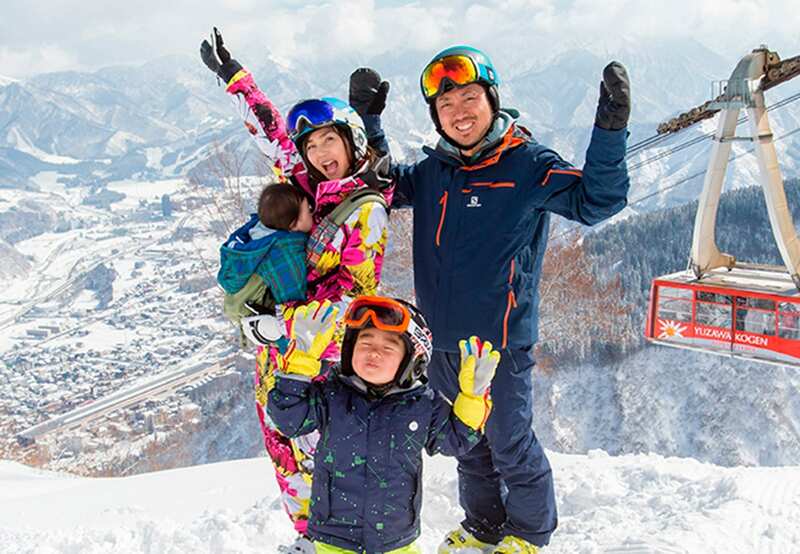 A special ski lesson by Daichi Hara, freestyle skier and Pyeongchang 2018 Olympic Winter Games bronze medalist in Men’s moguls, is offered exclusively for NOC members staying at NASPA New Otani. This very special offer is limited to 10 people only and will also include dinner, together with Daichi Hara, following the ski lessons at NASPA Ski Garden. 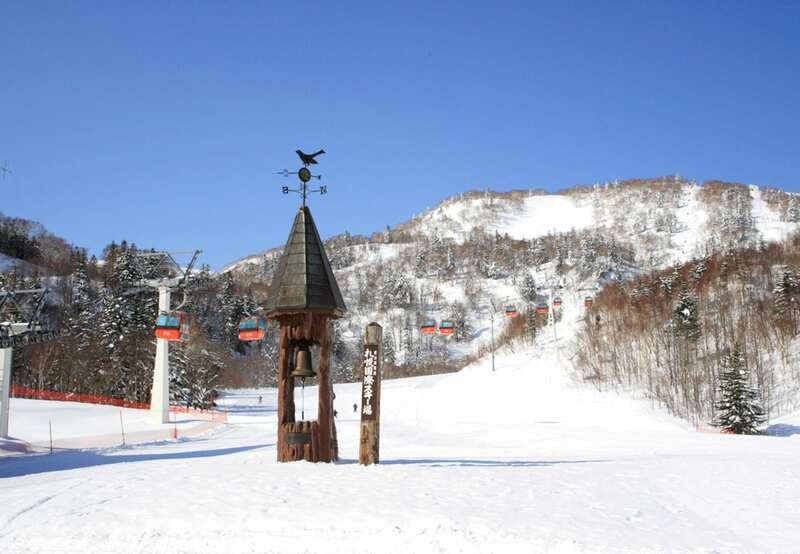 NASPA Ski Garden is one of Daichi Hara’s home practice grounds. * Must be skiers of SAJ level 2 (CSIA level 1) or higher to participate in the lessons. * Reservations for this offer is accepted only by telephone. NASPA New Otani is an official sponsor of Daichi Hara. Born March 4th, 1997, in Tokyo, Japan. Started freestyle moguls skiing at age 12 and was selected for Japan’s Junior National team at age 15. Moved to Canada at the age of 16 to further pursue his skiing ambitions. Daichi graduated from Canadian Sports Business Academy and started competing in skiing events. His results in the competitions landed him a spot on Japan’s national team for freestyle skiing (moguls) and a trip to the Pyeongchang 2018 Olympic Winter Games where he captured a bronze medal. He is currently a member of Team JOCKS of Japan and still trains at NASPA Ski Garden. NASPA is an onsen (hot springs) and ski resort in Yuzawa of Niigata prefecture, approximately 80 minutes from Tokyo by bullet train. Surrounded by nature while also offering convenience, comfort, and an eco-friendly way of life, it is the ideal destination for a brief excursion from Tokyo. Exquisite Japanese cuisine using fresh local ingredients from the land and sea, soothing hot spring onsen baths, skiing at a skiers-only ski slope, and so much more await guests at NASPA New Otani. 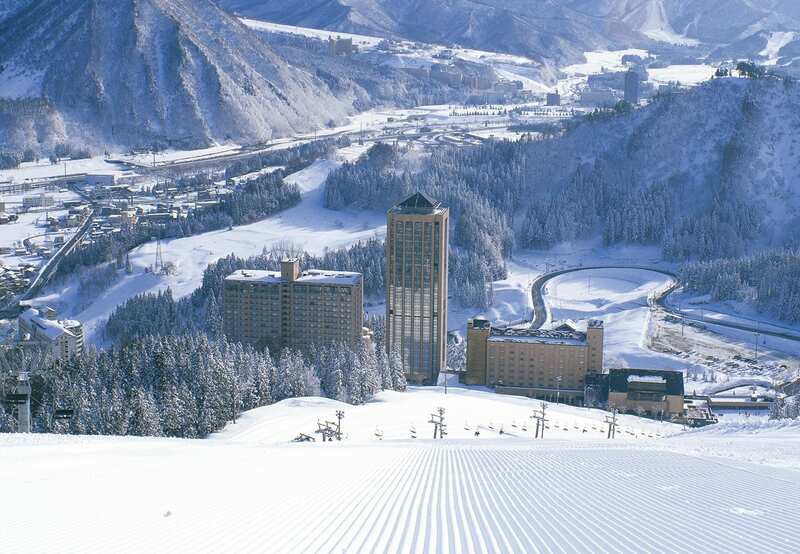 Enjoy skiing the powder snow in Hokkaido with this 2 night accommodation package that includes ski lift tickets. 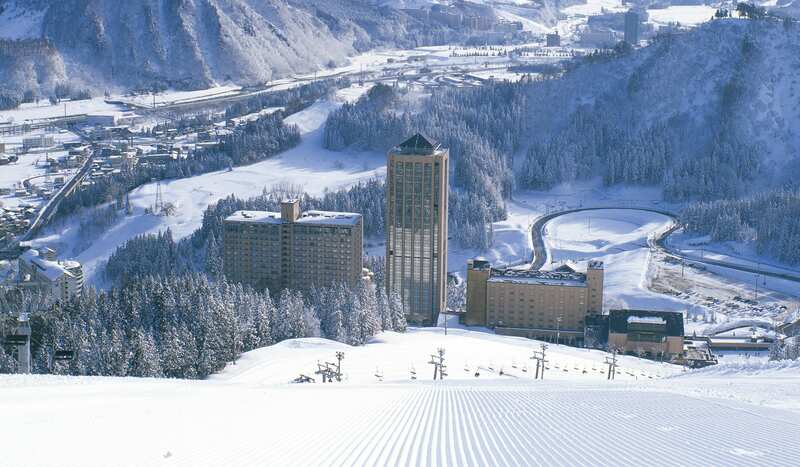 Hokkaido Resort Liner ski shuttle buses depart from and arrive directly at New Otani Inn Sapporo. The room will be on the "Premium Superior Floor" with one dinner included featuring "Hokkaido beef fillet steak with spicy fois gras and daikon". * Additional fee of ¥2,000 per person applies for Saturdays and days before holidays. * One dinner and one visit to ski resort are included in the package. Accommodation package inclusive of one full-day or two half-day ski lift tickets to use at your choice of ski resort from "NASPA Ski Garden", "GALA Yuzawa", "Yuzawa Kogen", or "Yuzawa Park Resort". Warm up and relax in the hot spring onsen baths after a day of skiing and fun in the snow. * Prices will vary during peak season and for days before holidays. Please inquire for details. * Free shuttle buses are available to and from every ski resort, right from the hotel. 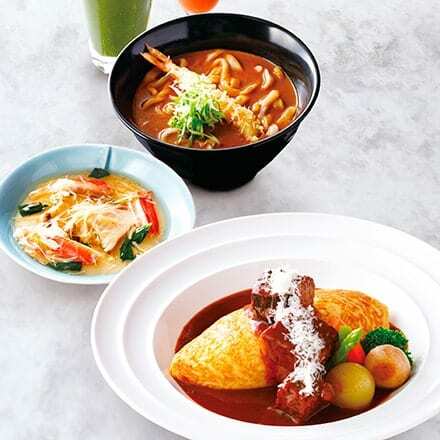 [NOC members] ●¥500 voucher to use within hotel premise. ●Check-out time extended to noon (normally 10:00am) ●50% OFF use of reserved private bath facilities.